The UK’s deteriorating infrastructure, particularly its ‘crumbling’ road network, is undermining business growth. The Government needs to invest in Britain’s road network, manufacturers’ organizations EEF and CBI urged on Monday. Infrastructure refers to major structures and services without which our economy as we know it cannot function – such as roads & railway networks, bridges, tunnels, sanitation, water, power generation and distribution, etc. 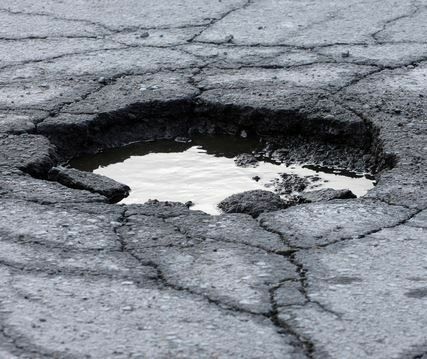 An EEF survey of 130 firms showed that about one third of respondents described the state of main roads as poor and added that their quality had deteriorated in the past 24 months. EEF, which represents British manufacturing and engineering firms, describes the country’s network of roads as “crumbling”. It is urging the Tory/Liberal coalition Government to announce an investment plan in November’s Autumn Statement. Companies cited only one area of infrastructure that has improved over the past two years – the provision of broadband internet. Even so, they still rate digital networks as ‘poor’. Respondents also complained about energy supply, which they say has worsened. Four-fifths of manufacturers said the road network is critical for their businesses, compared with 3% who rated rail as a critical network. The survey also found that businesses rate the integration of the different transport networks is particularly poor. 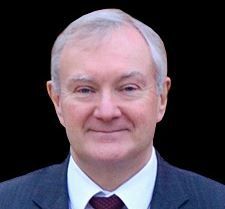 Chief Executive of EEF, Terry Scuoler, said there is concern across the nation that the quality of business critical infrastructure is deteriorating rather than improving. There is growing concern across the UK about the state of its roads. A Confederation of British Industry (CBI) survey involving 443 senior business leaders showed that in vital areas of competitiveness, like transport and energy, 57% and 67% (respectively) of respondents believe infrastructure will worsen in the next five years. The UK’s business leaders say the country’s infrastructure is lagging behind that of rival nations, including North America, the EU and Australasia. Both the CBI and EEF are criticizing the Government for allowing short-term political concerns to undermine the UK’s long-term need to build new infrastructure. Both industry organizations are calling for the creation of a fully independent infrastructure body with the authority to decide what new communications, energy and transport project the country requires and when they are needed. The body, which would be free of political pressures, could then put forward its recommendations to the government, they say.